96 min. and 51 sec. PODCAST| FRED’s partner Europa Distribution hosted the panel The Bigger Picture: A fresh approach to public film funding at the 65th San Sebastián Film Festival. Absorbed in the small, time-consuming everyday tasks, sometimes professionals find it it hard to take a step back and look at the bigger picture. This is especially true for distributors when it comes to scouting for public film funds, which are essential in supporting the releases of many European titles. Up until now, film funds have tended to largely prioritise production but, lately, certain funds have come to the conclusion that in such an overcrowded market, it’s not enough just to make films: assistance is also required to take them to their audience. 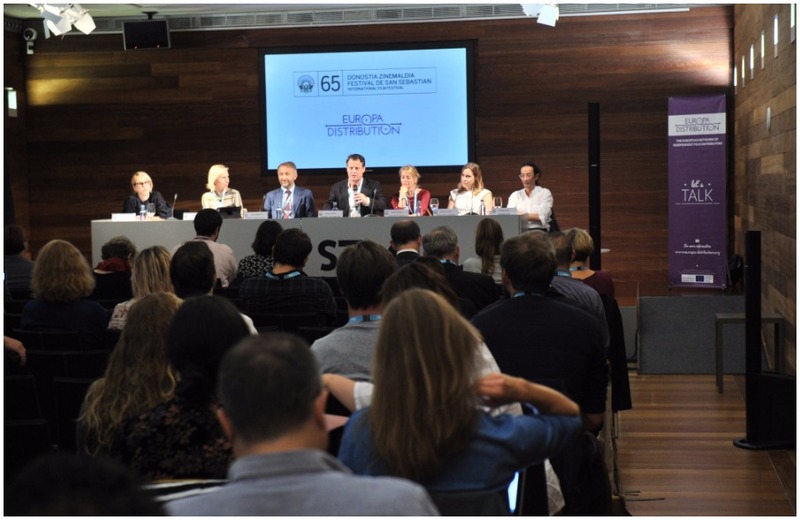 To approach this vast topic, Europa Distribution, in partnership with the San Sebastián International Film Festival, organised a special Panel gathering representatives from National and European film funds, along with other industry professionals. 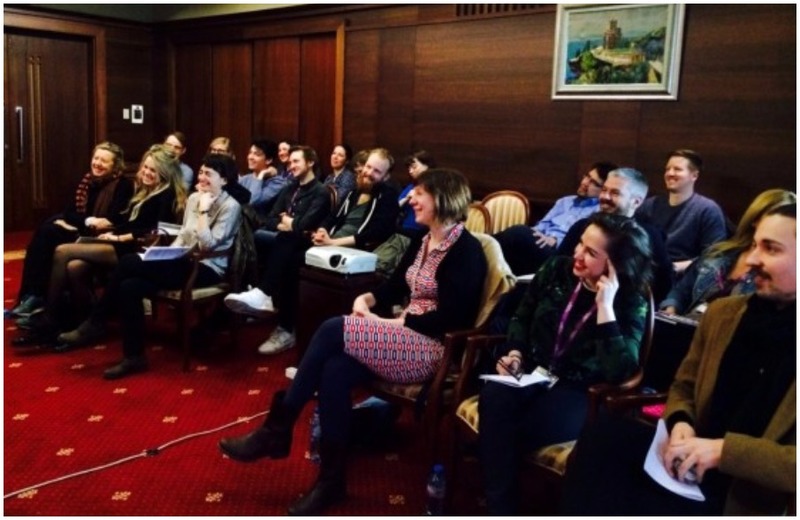 “The Bigger Picture: A fresh approach to public film funding” took place on Monday 25 September and accredited professionals in San Sebastian, defying the rain, filled the Function Hall of the San Telmo. Michael Gubbins, founder of SampoMedia and chair of the Ffilm Cymru Wales regional fund in the UK, moderated the Panel, provocatively asking each of the speakers how they would reinvent the film industry if they could redesign it today from scratch. According to Artemio Benki, CEO of Artcam and Sirena Films in the Czech Republic and member of Europa Distribution, the industry is already progressing towards a more integrated model: “Things are becoming more flexible. We always had producers moving into distribution but today we also have it the other way around. As a distributor coming to production, I carry with me an important expertise that is often otherwise lacking: the understanding of the audience”. “De-siloing” was the expression used by Head of MEDIA Lucía Recalde to portray the new strategy put in place by EU institutions to create more synergy by working side-by-side with film funds and the industry. Picking up from this, Enrico Vannucci, Deputy Executive Director of Eurimages, remarked that the role of European funds is to complement their national counterparts. 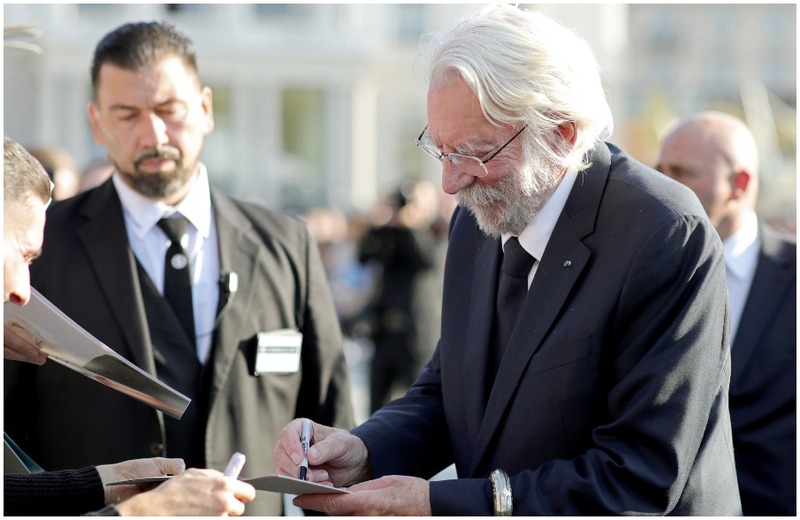 While Eurimages keeps its main focus on diversity and the discovery of young talents, prioritising countries who don’t benefit from MEDIA, when we look at, the orientation of certain national film funds is shifting towards focusing on fewer titles with more economic potential. 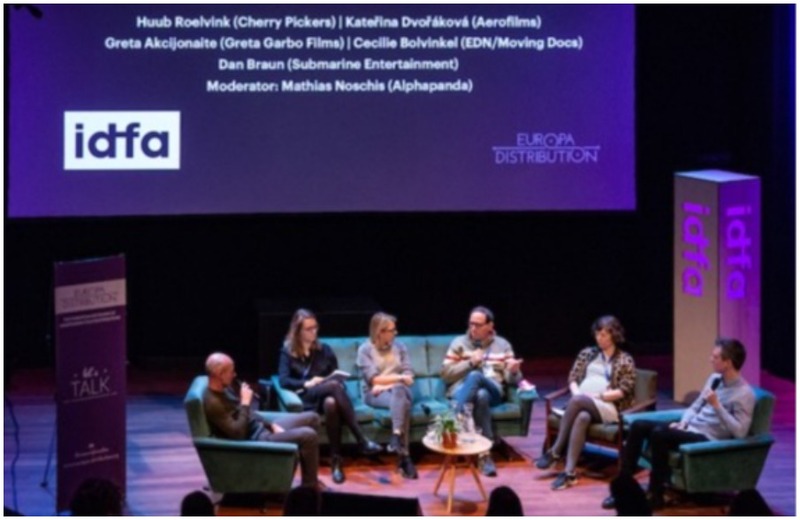 That’s the case in Germany where the EFA, represented at the Panel by Bérénie Honold, is re-thinking its role and choosing a smaller number of films to assist more substantially, beginning with the pre-production phase. Jeanne Brunfaut from the Walloon film fund of Belgium (FW-B) also addressed the need for funds to be more directly involved in all stages of a film’s life-cycle: “We demand for a domestic release strategy already when assessing the projects, and we will soon ask also for international strategies. Our goal is to support films that can find an audience and we are allocating more budget from production to development and distribution”. Ilse Schooneknaep from the University of Brussels, who is currently finalising her research on the European film funding system for distribution, noted that film funding is limited by the difficulties faced by funds when looking to share knowledge and best practice. 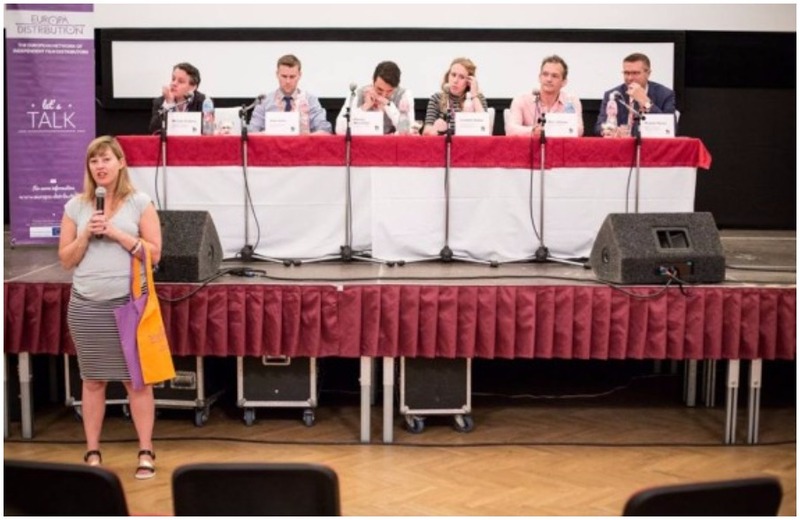 The Panel agreed that the future challenge for the whole EU AV sector, both public and private, will be to re-integrate relevant knowledge and data back in the system, which could help all involved sectors to take more risks as the “fear of failure only creates mediocrity” (Gubbins). The conversation on film funding continued for Europa Distribution and EFADs members during a private Think Tank the following day, aimed at sharing perspectives and ideas between the members of the two associations to help films to stand out in the crowd and to reach their audience through a stronger support to distribution. For the website of Europa Distribution, click here. For the Festival website, click here.